In this episode of Workflow, Brian and Tom talk about why they made this podcast, quick introductions, and what they believe in. 22:23 Tips to take action! Tom: 00:00 This is Workflow, episode one. 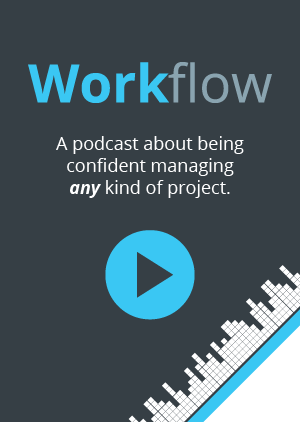 Brian: 00:14 Workflow is the podcast that helps teams figure out the best way to work, collaborate, and get stuff done. Brought to you by Rindle. Tom: 00:28 Hey everyone, I’m Tom. Tom: 00:31 And we’re the co-founders of Rindle. And this is our podcast, Workflow. Today we’re talking about why we’re creating this podcast. What, why are you laughing? Brian: 00:46 It’s just silent. Tom: 00:48 Yeah, that’s it. That’s all we got. Brian: 00:53 I actually, before we even talk about getting into why we created this podcast, I do want to hear your reaction to the music that I picked out. Tom: 01:01 Did you pick out new music? Brian: 01:04 No, same music, you heard it before. Tom: 01:07 I like it. Brian: 01:09 You know why I picked it? Brian: 01:11 Because it makes me play air guitar when I hear it. Tom: 01:15 That is something. Great, that’s like a picture that I’m not going to be able to get out of my head now. Wonderful. Brian: 01:22 So anyway, so does the world need another podcast about managing work? That is the question. Tom: 01:29 Well, I don’t know if there are too many podcasts about actually managing the work. There’s a lot of podcast with people’s opinions about various things, but like to specifically talk about managing work, I don’t know. 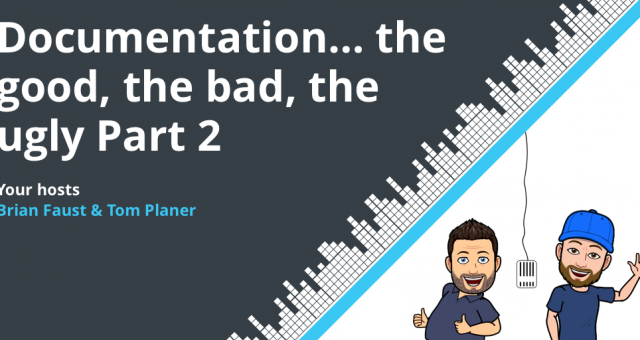 Brian: 01:45 Yeah, I think some are like kind of … There’s some podcasts out there that are about work, but they don’t really get into the nitty gritty of implementing processes or things to actually implement within your team. So I think not so many tangible things you could take away from them, more entertainment value. Tom: 02:04 Mm-hmm (affirmative). Yeah, I also don’t know if they really are targeting like people who are running the teams, like to actually allow them to implement some of this stuff, or like the founders or anything like that. Typically, podcasts are talking about more … Like if it’s a podcast about a startup or whatever, they’re talking to other founders hopefully about running a startup. You’re not talking to them about how do you run your team? How do you manage the projects? How do you do all that kind of stuff. Brian: 02:43 Yeah, I think there’s definitely a gap that kind of hopefully we’ll fill that a lot of the content that is out there is definitely targeting more traditional project managers, if you will, about methodologies and all these other things, where they’re definitely are people like founders and marketers and managers and people like that who are tasked with kind of managing projects. These are the non-PMs. And I think that’s really where we can kind of help and help those people along. And I think the content that’s out there for the more traditional PMs kind of overkill for them, and they’re looking for something a little simpler, a little more straightforward to get their team organized, to get their work flowing through their projects and things like that. 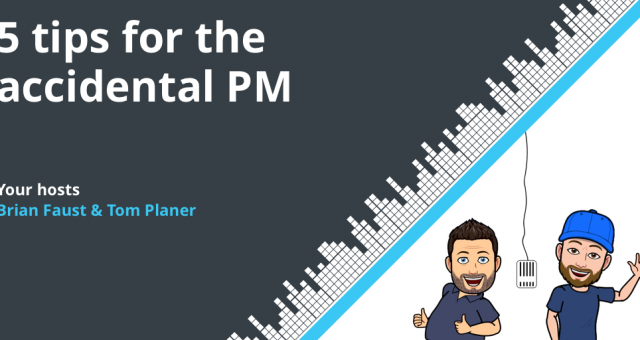 So I think that’s kind of the intent here is to give that audience … Obviously we’ll be able to help traditional PMs as well, hopefully with our opinions and advice, but even more so than non-project managers. Brian: 03:39 So I just too want to comment on too that in addition to the non-PM focus, we’re definitely hoping to help new project managers, or teams that are just starting out. That’s obviously new PMs that are officially formerly PMs or non-PMs. And also, seize in the existing teams. So people that are looking to kind of enhance their workflow, change things up a little bit, maybe something’s not working for them, maybe they want just to hear how other people are working and kind of get some advice. So really, we’re hoping to help that audience. 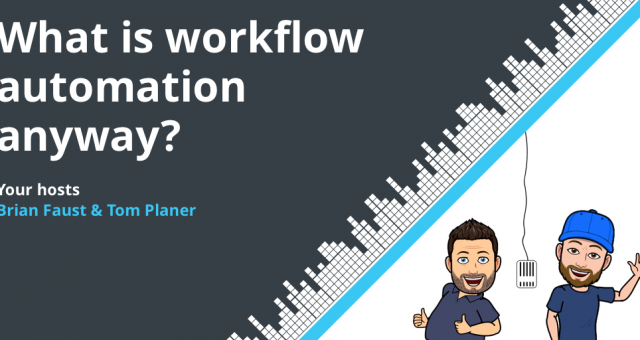 It is pretty crazy how there are all these methodologies and software out there and yet people still really struggle with setting up their workflows and setting up how their team should collaborate and communicate. So this is exactly kind of what we’re trying to help with this podcast. Tom: 04:28 I think one of the reasons why it’s kind of an issue is that people assume that, “Oh, I’m going to start using this project management software and it’s just going to magically help me manage a project.” But at the end of the day, this software’s only as good as the people behind it. So you still need to have an idea of how you’re going to use that, and how you’re going to use it is basically the reason why we created this. Because we’re trying to help people better use the software, find better uses for it, not just our software, but in general software that handles project management. Brian: 05:10 Yeah. I think that’s valid point. The PM tool, or anything that you’re using to organize yourself, is not going to run the project for you. 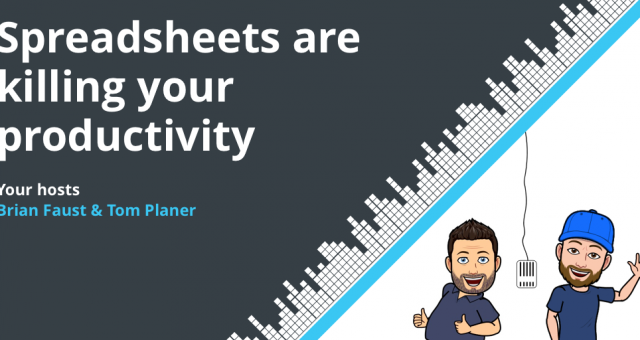 So it’s a tool, like all the other tools you use that you’re going to try to leverage to make things more organized and help you along the way. But it’s not going to do the job for you, and I think that’s what some people kind of look for the magic sauce. Like, “Well, where’s that tool? Or how can I make this so I don’t have to manage the project?” So in the end, that still needs to happen. It’s just can you use the tools around you to make that job easier and more efficient and things like that? Brian: 05:52 So maybe we should introduce ourselves now that we’ve talked a little bit, kind of about the podcast and where we’re headed with it and who it’s for. Tom: 06:00 Yeah, I think that’s a good idea. Brian: 06:02 People might be curious who we are. Tom: 06:05 Cool, do you want to start off? Brian: 06:08 Yeah, sure. So my name is Brian Faust, co-founder of Rindle. And I have about 15 years project management experience in my career. Basically started out in data networking and voice over IP, which is interesting. So I used to run CAT5 cables through walls and patch cables to patch panels and all kind of good stuff. And through that, got into software development, which I actually worked for a recruiting firm in New York City that used this loaded, complicated, it was a local Windows application to manage their applicants. And I kind of said … Well, this is kind of when web 2.0 was happening, and these software as a service kind of started to happen. And I was like, “You know, we can probably build this software on the web and save,” I think it was like a $60 thousand license per year they were paying for it. Brian: 07:08 So they said, “Okay, if you want to manage that and take that initiative, we’ll give you some budget, go put together a team and kind of make it happen.” So that was really my first taste into software development and project management outside of the IT background. And that kind of sprung me into working at a couple different agencies, building mobile apps and web-based applications and websites and stuff like that. So since then, I’ve been in software. And as far as the non-work stuff, I have a family of four and a half. So I’ve got my third child due near the end of September, so that’s exciting. We live in Connecticut, and definitely that’s what pretty much motivates me everyday to keep rolling on and dig in deep for building a business and all the things we’re doing. Brian: 07:59 I used to be a chef, which is a tid bit of information probably that most people don’t know. But I actually, before getting into tech, was a full-fledged chef. So I did learn to cook, which is awesome, and I enjoy cooking. So I actually do most of the cooking in my house. And besides that, I think west coast swing probably, I do the west coast swing dance, which is actually the state dance of California, which is another piece of information. Tom: 08:30 Little tid bit. Brian: 08:32 Little tid bit. But I’ve been doing that since I was about 13 years old. I used to compete all around the country and travel around and I used to teach in New York City. Taught a studio in Pennsylvania as well, and big part of my life. I met my wife through dancing, my sister dances, my mother dances. So it’s kind of in our family. Definitely is a really cool thing that most people don’t know what it is. But if you look it up, if you Google it, you’ll see what it is. It’s pretty cool. And I golf. That’s pretty much, picked up golf around four years ago, and that’s been kind of my relaxation. A lot of people don’t like golf because it makes them frustrated and angry. I actually like it because I can go on a course for four hours and not think about work or not think about family stuff and just kind of zone out and enjoy. So it’s been a good hobby for me. Tom: 09:29 And you bedazzle shirts. Brian: 09:31 I have bedazzled a shirt in my lifetime. And my wife will tell that story in pride. Tom: 09:41 Yeah, we should probably also maybe create an episode about someday, but how work doesn’t actually happen on the golf course. So it is fun to go out there and just relax for the most part. Brian: 10:08 So what about you, Tom? Tom: 10:10 Yeah, so my name’s Tom Planer. I started creating websites when I was in 8th grade or so, maybe 7th grade. My mom had brought home a book on HTML, and I read the book and created some websites and was off and running. So prior to that, I had fooled around a little bit with programming. And after that, I kind of just dove into like web development type stuff. Brian: 10:39 So you owe your future truly to your mother? Tom: 10:42 I do to an extent, yeah. So that book on HTML really got me … You can visually see something right away in a browser, it’s not really programming, if you will, but it definitely is scripting and allows you to make something, which is awesome. So yeah, so I am actually a self-taught programmer. I’ve taken some courses in high school and in college about programming, but for the most part am self-taught. I actually have a business degree from college, so I’m not a computer science major or anything. So beyond that, I’ve worked in … Similar to Brian, I’ve worked in IT running network cable and stuff like that, and then I kind of moved into working at agencies and for a tech startup utilizing more of my programming skills. Tom: 11:38 So non-work wise, I have a beautiful wife and two fabulous kids. I live in New Jersey. A little tid bit about myself, I ran division one track and field, and that is actually where I met my wife who was also on the team, back in college, which is pretty exciting stuff. And beyond that, I do also like to try to golf, even though I’m really not that great at it. And yeah, that’s pretty much me. Oh, I also like to run a lot. Brian: 12:14 And who pushed you into the golf. Tom: 12:16 You pushed me into the golf, and my wife actually pushed me into the running because actually, even though I ran track and field, I actually was a high jumper. So I didn’t actually do much running other than at practice. Brian: 12:31 Yeah, just to set the stage here. How tall are you, Tom? Tom: 12:35 I’m like 6’5″ and a half, like 6’6″. Brian: 12:37 Yeah, I’m 6’1″ and I feel … Tom’s one of the only people I stand next to and I feel short. Tom: 12:45 There you have it. So yeah, and I think we should also probably hop in kind of explain how we actually met. Brian: 12:53 Yeah, I mean so we actually met at an agency where I had already been there, I believe, right? At this agency in New Jersey. And then Tom got hired on as a developer, and through that experience, we worked on some project together, ended up finding that we had some similar mindsets and kind of agreed on a lot of things, even though we argued quite a bit. But we had similar kind of mindset as to kind of how we think things should run and where the direction was going with kind of the interactive department we were working in and things like that. And I think really what was cool was that we ended up being able to kind of have a small team developed out of that based out of the New York office for that company, and that’s where we started to actually do some cooler things and work a lot closer. Tom: 13:48 Yeah, I think that’s pretty accurate. And actually, that small team is still somewhat together, so actually our first real hire was one of the members of that team. So Scott, so it’s pretty cool stuff that we were able to take that actual point in our lives and really kind of make lasting relationships. Brian: 14:15 Yeah, and to basically had worked together, all together and one time, and kind of go our separate ways and all go to different companies respectively, and then kind of find our way back to Rindle, which is kind of cool. Tom: 14:30 Awesome. So why don’t we talk about what we believe as individuals and as a company? Brian: 14:40 Yeah, I think this is kind of cool to talk about just because I think it really drives kind of why we created Rindle to begin with, the product, but also why we’re doing this podcast and why we felt the need to like, “We should really get ourselves out there and start talking about some of these things.” And I think the biggest thing, one of the bigger things to lead off with is that we believe that project management tends to get over-complicated. So the more complicated the process, typically, the less adoption and longterm success you can expect. So if you are, especially if you’re resource restricted or anything like that, and you’re trying to put in really complicated processes, a lot of times, team members and stuff, they just get turned off by it. Tom: 15:41 Yeah, and I think half the problem there as to why adoption is poor is because project management softwares are too complicated. They don’t make it any easier to adopt. Brian: 15:55 Yeah, I think some of the stigma around like project management software being too complicated is that really the PMs end up using it, and not so much the rest of the team, because they don’t want to deal with the overhead of getting in there and being like, “Well, I got to find my task and do all this stuff.” So it really kind of, there’s this thing kind of floating around where it’s like, “Oh, well the PM software’s mostly leveraged by project managers.” But in essence, really the entire team should be in this project management software, or whatever tools you’re using. The entire team needs to be in there and collaborating so you can leverage that tool fully. If only one person out of a 10 person team or a 5 person team, whatever it is, is using it, then you really are not leveraging the collaboration aspects of it, centralization aspects of it, and so on. So yeah, I think that kind of definitely adds to the problem. Tom: 16:48 Yeah, and there’s ways to do that. There’s ways to get the team more involved, but if you have a simple project, it’s way … Or project management software, it’s way easier to get the team involved because you’re not having to necessarily teach them too much, or the whole goal is to not have to have them learn basically anything, right? Like the more advanced features, the project manager of the administrators will hopefully make use of, but like the individuals, they should just have to know like, “Okay, this is a task I have to do.” And then they need to know what the team’s workflow is. Like, “Well, when I’m done with this I move this here and notify this person.” Or whatever that may be, right? So they should really be focused on, “Well, what’s my team’s workflow?” And that’s it. They shouldn’t have to worry about the software. Brian: 17:47 Yeah. I think that just flows right into just our belief in keeping things as simple as possible. I think too, like when you introduce complicated processes and methodologies, there is a level of complication that you’re bringing to the team. And usually, that starts to break down just with, like I said, adoption, people not understanding what you’re supposed to be doing, half the team following it and half the team not, all of these issues. So in the end, we believe it’s about getting the work done. So if you keep things as simple as possible when it comes to process, when it comes to collaboration, all of these things, you will be able to essentially focus on the work and not focus on process and software. Tom: 18:35 And that’s not to say that we want to build software that doesn’t have complicated features. But I think it’s part of the software developer’s challenge to do that in a way that’s simple for users to use, right? Like so that complexity should be really hidden from the day to day use. Brian: 19:00 Yeah, I think end mantra is you should be spending the majority of your time doing the work and not managing it. So yeah, I think what you’re saying as far as our job as software developers, making an application that helps you focus on the work and not spend tons of time in the application doing things that are not getting work done I think is kind of our ultimate belief and goal. And essentially, that’s why we, like I said in the top of this, that’s why we build Rindle to start out with as a project management application, and also why we’re doing this podcast. So we can start to kind of share some of our thoughts on keeping things very simple, some ideas of how you can manage your team and run meetings and collaborate and all of these things. So hopefully that’s where we’re heading with it and hopefully that will be helpful to a lot of people. Tom: 19:50 All right, so what can we expect out of this podcast? Brian: 19:53 Yeah, I think it’s worth mentioning how the podcast will flow, just so you can set expectations going forward with future episodes. So what we’re intending to do is kind of have, to start out with, what’s happening at Rindle. 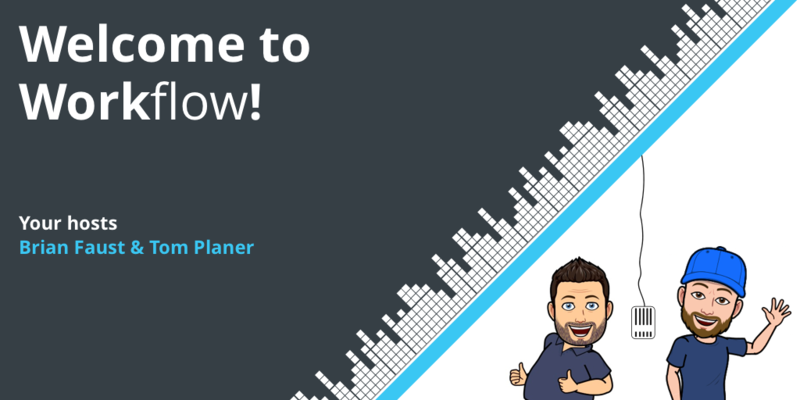 So we’ll talk about some things that are happening at Rindle, and we think this is beneficial only because people using our product, of course, our customer base would love this because they’ll get some insight into some of the things we’re working on. But it also involves kind of our process, how we work. So we think there’ll be some good tid bits in there for people to understand kind of how we handle things, some of the challenges we face, how we’re organizing our projects and workflow. So we think that’ll be helpful, and that’ll be a really short kind of blurb in the beginning of the episode, and then we’ll move into the main topic, which will be the main topic of the episode. Brian: 20:40 This will be a topic that we’re focused on in the area of like PM or whatever we’re talking about. And then, we’ll close it out with tips for taking action. So we believe that what we’re talking about, at the end of it, you should have some kind of tips to actually take action on it and make a difference and make some changes, hopefully immediately. So we’ll kind of go over things you can do to make some changes right away. Tom: 21:07 Yeah, and I think we’ll also probably throw in some guests on here occasionally in some episodes to change it up a little bit, maybe just some free flowing episode, maybe us ranting about some topic or something of interest, just because we’ll see how those work as well. Brian: 21:26 Yeah, and I think the main topic focus will be project management related things, workflow related things, and just generally team management. Like I said, even getting into how you run meetings, how do you communicate tasks, and how do you flow your work for different kinds of workflows. Tom: 21:45 How do you break tasks down into manageable chunks, right? Tom: 21:50 Lot of stuff like that. Even now, we struggle with, so I don’t think it ever goes away, the struggle of managing a project. Brian: 22:01 Yeah, I think it’s ever-changing and breathing animal. So you’re constantly tackling new challenges and new ways to organize things. Brian: 22:18 One week episode? Tom: 22:19 One episode per week. Yeah, so that should be good. Brian: 22:23 Awesome. So tips for taking action for this episode, being that it’s the first episode, kind of a kicking off, kind of giving you some background information on us, why we’re doing this, we’d love to hear from you about topics that you want us to talk about. So we already have some planned out and some ideas rolling, and you’ll see there’s a couple episodes already recorded for you to dive into at launch of this podcast. But we’d love to hear from you to help us drive the direction of the topics that we’re going to talk about. Brian: 22:54 In addition to that, any specific questions about your workflow or team scenarios that you have that you want us to tear down and kind of analyze and give our advice on, we’d love to hear those as well. So to do that, you can leave a voicemail at our number, 860-577-2293. Or, you can email us. You can even include an MP3 on an email if you wanted to. You can email us at Workflow@Rindle.com. Tom: 23:21 Well I think that about wraps us up for the day. If you have a question for us, you can call into our voicemail number at 860-577-2293. Or you can email it to us at Workflow@Rindle.com. Our theme music is an excerpt from Thunder Rock by Magic Studio, used under creative commons. Subscribe on iTunes by searching for Workflow, and visit Rindle.com/Workflow-Podcast for a full transcript of each episode. Thanks for listening and we’ll see you next time.